Warriors Orochi has gone some places in its time, but the latest entry in the Musou crossover series takes things to a whole new plane of existence. Literally. In the latest gameplay trailer for Warriors Orochi 4 titled, “Deification,” Koei Tecmo and Omega Force show off the latest additions to the ever-ballooning roster, this time Musou-style takes on gods from both Greek and Norse mythology. In the trailer, we see the likes of Athena, Ares, Zeus, Perseus, and Odin throwing down alongside veterans from the Dynasty Warriors and Samurai Warriors series. Of course, when Ares is sailing around using literal dragon parts to engulf his enemies in flames, one may wonder how the foot soldiers of Asian, historical fiction are able to hang. 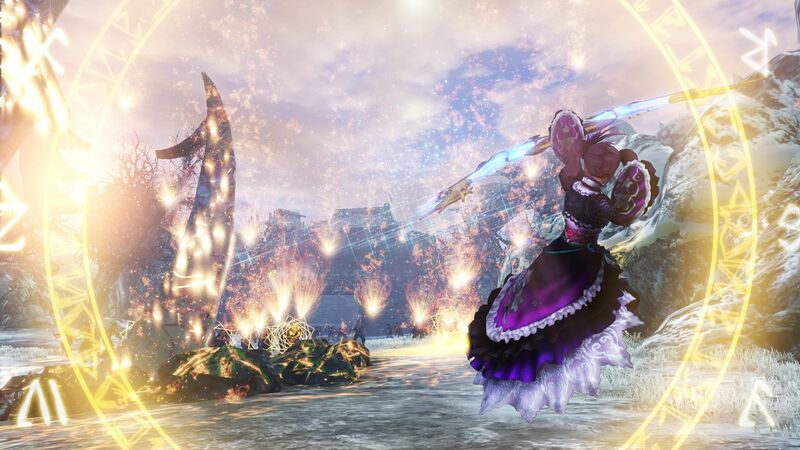 The answer there lies in Deification, the new feature of Warriors Orochi 4 that allows classic characters to take on inhuman, new forms that allow them to not only use unlimited magic (another new mechanic), but also totally different kinds of attacks. While Deification is limited to specific characters, all 170 (wow!) playable characters are able to use magic normally using new items called Sacred Treasures. Magic adds anotehr new dynamic to the flow of Musou combat, and Koei Tecmo also points to relationships that players can form and maintain between characters to unlock even more rewards. Warriors Orochi 4 releases on October 16, 2018 for the PlayStation 4, the Xbox One, and the Nintendo Switch.